FacebookFrequently when an artist announces a new album a number of years on from when its predecessor came out, the question of, “where’ve you been?” is a natural ones. In the case of Sky Larkin principal Katie Harkin, the answer is simply “everywhere”. Since her band wrapped up touring commitments behind 2010’s Kaleide, she signed on as a touring member of Wild Beasts for their Smother tour (which stopped here in October 2011). But Harkin has gotten back to her own business, and with a new lineup in place – original bassist Doug Adams amicably departed the band and was replaced and a second guitarist added – they’ve announced a September 16 release of their third album, entitled Motto. A new track from it is available to stream via The Guardian and offers a lighter counterpoint to the more pummelling first taste – now revealed as the album’s title track – which surfaced back in May and more than affirms their recipe of sleekly ragged guitars and sneakily sophisticated melodicism is still a most effective one. I look forward to their return. Annie has released a new video from her just-out A&R EP; Idolator talks to Richard X – the EP’s producer and “R” namesake – about the record. Clash and NME talk to White Lies about their new album Big TV, out August 21. They play The Opera House on October 1. Rolling Stone talks to Martin Gore of Depeche Mode about the impending North American tour that brings them to the Molson Amphitheatre on September 1. Manic Street Preachers have unveiled a new video from their next album Rewind The Film, out September 16. The Line Of Best Fit reports that English folkie Johnny Flynn has given his new record Country Mile a September 30 release date. The first song from it is available to preview via lyric video. Charli XCX walks aux.tv through her video for “What I Like”. She plays The Hoxton on September 16. Australia’s The Naked & Famous have announced the September 17 release of their second In Rolling Waves, offering some context for their already-announced date at the Sound Academy on October 14. The first video from the new record is also out. Under The Radar reports that former Mercury Prize nominees The Invisible have been named as support for Jessie Ware on her North American tour, starting November 6 at The Sound Academy. The pairing makes perfect sense since Invisible frontman Dave Okumu co-wrote and produced much of Ware’s Devotion; their last album was 2012’s Rispah. Page 31 talks to Caroline Hjelt and Windy City Media to Aino Jawo of Icona Pop. Their album This Is… comes out September 24. The Horrors tell NME that any expectations of a new record in 2013 are unfounded and their next release will come in early 2014. The Quietus has both an interview with and the first new music from Rose Elinor Dougall in far too long; with luck a second album isn’t too far behind. The High Wire have released a video for their latest single, which quite effectively leverages footage from the film Ashes, starring Ray Winstone. The Guardian has more information about the film. The Guardian talks to Daniel Blumburg, formerly of Yuck, about his new project as Hebronix and the debut album Unreal. Bobby Gillespie of Primal Scream unloads to NME about the state of festivals in 2013. Baeble Music has a video session with Foals and NME gets Yannis Philippakis’ thoughts on US whistleblower Edward Snowden. Cut Copy have made a new single, released last month in limited edition at the Pitchfork Music Festival, available to stream for all to hear. NPR has video from a KCRW session with Savages. The Quietus catches up with David Lewis Gedge of The Wedding Present. The Skinny finds out what Emma Pollock has been up to since the 2010 release of The Law Of Large Numbers, namely setting up a studio engineering course for aspiring producers. 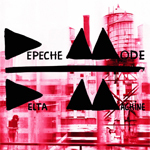 AmazonIt was a surprising thing to realize as I cued up my review copy of Delta Machine a few weeks ago, but it would actually be the first time I’d ever listen to a Depeche Mode in its entirety. I’ve heard many/all the big singles, of course, but never sat down with an album start to finish. It’s not been a deliberate shunning of their now thirteen album-deep discography, but their synth-first sounds didn’t click with me in my more impressionable high school days (circa Violator/Songs Of Faith & Devotion), and I’ve just never circled back around to re-investigate. And while critical reception of Delta Machine has been decent, there’s been no Damascene moment that’s sent me on crash course to fill the Gahan-shaped hole in my musical education. But it’s alright, I guess. Sounds very much like what I would expect a Depeche Mode album to sound like. Maybe I’ll brush up with a best-of and see where that takes me. Maybe even to their Molson Amphitheatre show on September 2? Maybe. None of which is especially salient to this giveaway, which is this. Courtesy of With A Bullet, I’ve got two prizes to give away – one for analog fans consisting of a copy of Delta Machine on LP and a copy of the “Heaven” 12″ single, and one for digital fans consisting of a copy of Delta Machine on CD – to give away. To enter, email me at contests@chromewaves.net with “I want Depeche Mode on CD” or “I want Depeche Mode on LP” in the subject line, as the case may be, and your full name and mailing address in the body and have that to me by midnight, April 13. Contest is open to Canadians only. Jem GouldingSince their first single was released in June 2012, London post-punk foursome Savages have steadily become one of the most-talked about new bands in the UK on the backs of their ferocious live performances, the experience of which they sought to capture on the live I Am Here EP released last Fall. Now, as they come off a series of much-talked about shows at SXSW and prepare to make a similar impression with a couple of shows at Canadian Musicfest, they’ve announced details of their debut album. Entitled Silence Yourself, it will be released worldwide on the band’s own Pop Noire label and indie giant Matador Records, coming out on May 6 in territories where new records come out on Mondays and May 7 for those who do the Tuesday release thing. Full details on the release are available at Exclaim and a first track from the album is available to stream below. NOW has an interview with the band, who play The Horseshoe on March 22 and Lee’s Palace on March 23. Spin talks to Brett Anderson while The Quietus ponders the difficulty of being a Suede fan in the United States on this, the occasion of this week’s release of Bloodsports. I suppose we’re a little better off in Canada, where we don’t have to call them The London Suede, not that that’s provided enough incentive to tour over here or anything. But anyways, as a little release-week gift, the band have made a live recording from their intimate show at Camden Barfly earlier this month available to download. British buzz band Peace is streaming their debut album In Love at NME ahead of its UK release next week. They’re in town for NXNE on June 15. 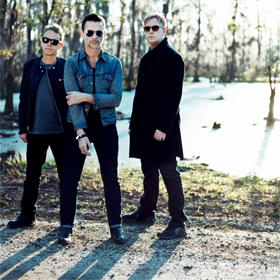 Depeche Mode have gone with iTunes to advance stream their new album Delta Machine, out next week. They’re at the Molson Amphitheatre on September 1. The 405 are streaming one of the tracks from Frightened Rabbit’s forthcoming Backyard Skulls EP, an alternate version of Pedestrian Verse track “Holy”, while City Pages serves up an interview. The EP is out March 31, which is the same day they’re in town at The Phoenix. Pitchfork has official details on the North American release of Jessie Ware’s Devotion, which in addition to different artwork from the UK edition, will have two bonus tracks and be out April 16. Which is 11 days after her April 6 show at The Opera House. So buy a t-shirt, I guess. The Joy Formidable have a new video from Wolf’s Law, shot from the point-of-view of Ritzy’s guitar headstock. They play The Phoenix on April 12. It Hugs Back return with their third album Recommended Record on April 29; they talk to The Quietus about it and have a track from it available to stream. DIY has a feature piece on Daughter; their debut If You Leave is out in the UK this week but not in North America until April 30. They’re at The Great Hall on May 7. Noah & The Whale have released the first video from their new record Heart Of Nowhere, due out May 3. Billy Bragg lists off some of his favourite albums for The Quietus, offers interviews to The Line Of Best Fit, Exclaim, Consequence ORolling Stone, and Canadian Press, and plays a World Cafe session for NPR. He’s in town at the Danforth Music Hall on May 3. Palma Violets tell DIY that playing a show in Toronto is their definition of having it made. OK, then. They’re back at the high point of their career on May 3 when they play Lee’s Palace. The Guardian talks to Bobby Gillespie of Primal Scream about their forthcoming album More Light, due May 6. Little Boots is streaming a new song from her forthcoming album Nocturnes, out May 7. Rolling Stone gets a video tour of Victoria Hesketh’s studio. Foals frontman Yannis Philippakis talks to The Daily Star about their ascension to the status of festival headliners, at least in the UK. Here in North America, they’re still playing rooms like The Kool Haus, where they’ll be on May 11. Billboard talks to Polly Scattergood about her second album Arrows, which is set for a June 14 release. Glasvegas have released a first video from their new record Later…When The TV Turns To Static, due out this Summer. Interview, The Village Voice, and The Toronto Star talk to CHVRCHES, whose debut album drops in September. Tom Cowan of The Horrors tells NME to expect a new album this September. Another Magazine talks to Alex Turner of Arctic Monkeys, while NME gets some details on their forthcoming album from drummer Matt Helder; it’s due out this year sometime. A Music Blog, Yea, The Telegraph, and The Guardian talk to Kate Nash about music, favourite things, and fashion, respectively. Django Django have released a new video from last year’s self-titled debut. Clash chats with Dev Hynes about how he came to work with Solange. 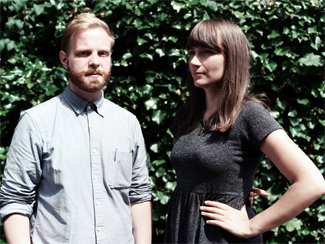 DIY has a video session with Veronica Falls. FacebookMost bands of a certain vintage these days have at least one of a break-up, extended hiatus, reunion, core lineup turnover, artistic irrelevance, diminishing fanbase, or becoming a nostalgia act in their narrative. Depeche Mode, however, largely bucks that trend. At it – it being one of the most influential electronic/alternative bands going – for more than three decades now, their output may have slowed a bit following their opening pace of six albums in seven years, but since 1987’s massive Music For The Masses, they’ve kept a remarkably steady cycle of releasing a new record every three or four years – all critically well-received – with attendant world tours of impressively consistent (large) scale. And the core trio of Dave Gahan, Martin Gore, and Andy Fletcher has stayed intact since the departure of Alan Wilder in 1995. All of which is to say that no one should be at all surprised that following last Autumn’s announcement of their thirteenth studio album Delta Machine, due out March 26, and corresponding Spring European dates, that there would be a North American tour to follow in the Fall. Not that fans shouldn’t be excited that the band are returning for their first dates on this side of the pond since 2009; Pitchfork has the full itinerary, which includes a return to the Molson Amphitheatre on September 1. Ticketing info is appropriately confusing, but even though the public onsale is officially April 4, there is a plethora of presale options to try and make sense of. So I leave you to that. Exclaim talks to Andy Fletcher and Billboard to Dave Gahan about the new record, and the first single has a video to go with it. If I’d waited a few days to post my writeup of Rachel Zeffira’s debut album The Deserters – out today – then I could have included the fact that she’ll be playing a show at The Drake Underground on May 2, tickets $15.50, but no – now I have to make a separate item for it. Alas. London-based dramatists The Veils have announced a North American tour in support of their new record Time Stays, We Go, due out on April 23. Look for them at The Drake Underground on May 4, tickets $15. Having reaped the benefits of being on one of the most stacked buzz bills of the year a couple weeks ago with Unknown Mortal Orchestra and Wampire, Los Angeles’ Foxygen have already made a return date in support of their debut We Are The 21st Century Ambassadors Of Peace And Magic – they’re at Wrongbar again on May 9. The Oklahoman has a feature piece. Flying Lotus has announced another leg of touring behind last year’s Until The Quiet Comes; see him at The Sound Academy on May 15. Tickets for that will run $24. While the “TBA” Of Monsters & Men date revealed earlier this month clearly hinted at being part of something bigger, it didn’t tip off that they’d be the sole international act on the bill for the inaugural CBCMusic.ca Festival, happening May 25 at Echo Beach. They’ll co-headline with The Sam Roberts Band, and be joined by Kathleen Edwards, Sloan, and a pile more CBC-approved Canadian artists; your tax dollars at work! Tickets are $59.50 and go on sale Saturday. So continue to complain, if you will, about the absence of a top-tier music festival in the GTA but don’t say you don’t have ample options for standing around all day in the sun watching a bunch of bands play short sets. Jose Gonzalez-led Swedes Junip have announced a North American tour in support of their self-titled new record, due out April 22. Look for them at The Great Hall on June 10, tickets $16.50. The first single from the record is also now available to download courtesy of Boing Boing. That same night – June 10, if you don’t read these posts sequentially – San Francisco dance-punk unpronounceables !!! will be down the street at The Horseshoe, tickets also $16.50. They were here last July, yes, but this time they’ll have a new record in the wonderfully-titled Thr!! !er to push; it’s out April 30. If you were wondering who the big hip-hop NXNE closing act this year was going to be, wonder no more – Big Boi will play the free, Sunday night show at Yonge-Dundas Square on June 16 this year as part of his “Shoes For Running” tour with Killer Mike. Alabama Shakes have done gone put together a Summer tour which brings them to Echo Beach on June 20, tickets for which are $37.50 in advance. And in this week’s Toronto Urban Roots Fest lineup additions, we’ve got Kurt Vile & The Violators, with Vile’s new record Walkin’ On A Pretty Daze due out April 9. Alejandro Escovedo & The Sensitive Boys in support of last year’s Big Station, The Felice Brothers still working 2011’s Celebration, Florida, and our very own Sadies, because it’s not physically possible to erect a stage anywhere in the 416 without The Sadies showing up to play it within 48 hours. It’s like boxes and cats. And with that, we’ve got almost 2/3 of the complete lineup announced – theoretically enough to convince people to buy a four-day pass? Those go on sale this Thursday at 1PM, with general admission passes going for $99.50 and VIP passes $299.50. If you were one of those disappointed by the abrupt cancellation of Animal Collective’s show at The Danforth Music Hall last Saturday night – attributed to a “sudden illness” that also claimed the next four shows, know that a make-up date has already been announced – your tickets are good for the new show on July 9, same venue, and if you can’t make it you can get a refund at the point of purchase. And I’d be remiss if I didn’t point out that Montreal’s Osheaga announced this year’s lineup last night, both for Torontonians who might want to make the road trip up the 401 the weekend of August 2 to 4 for Canada’s only top-tier outdoor festival, and for people engaged in the noble sport of Lollapalooza-spotting, since the two fests traditionally share a goodly percentage of their lineups. Headlining this year are The Cure and Mumford & Sons, New Order, and Phoenix, followed by a solid lineup of usual suspects for the season. Some of the acts are already making an area stop at The Grove Fest in Niagara-On-The-Lake on August 3, but I’m hoping some of the others have a Toronto date on their itinerary between Montreal and Chicago. The Cure, in particular, I’ve never seen live and I wouldn’t mind getting the opportunity to rectify that – I expect a Molson Amphitheatre date would make sense? Javier VillegasI’m sure it was just coincidence that the routing for Mogwai’s just-announced Spring North American tour are bringing them to the Phoenix in Toronto on May 4 – the same night that fellow Scots Franz Ferdinand are going to dance it up at the Kool Haus, but any way you slice it, that’s still a lot of Scottishness in town in one evening. If your Caledonian loyalties are torn, however, perhaps this little bit of information will help your decision making – Mogwai’s support for the first leg of the tour, including the T.O. show, will be The Twilight Sad. I’ve been waiting for The Twilight Sad to return since they destroyed the El Mocambo in April 2007, and though they’ve returned to the continent a couple times since then, they’ve not paid us a visit. Their 2007 debut Fourteen Autumns, Fifteen Winters was one of my favourites of the year and while they’ve not yet followed it up – sessions for album two are underway and it’s targeted for a September release – they weren’t idle in releasing new music in the interim, either. They had two 2008 releases – the Here, It Never Snowed. Afterwards It Did EP, which recast a number of the full-lengths tracks by trading in some of the sonic fury of the originals for a more ambient, textured approach with surprisingly effective results, and the tour-only/digital-otherwise collection of this and that in Killed My Parents And Hit The Road, which cobbled together covers, live versions and unreleased tracks into a satisfying stop-gap. Now I’m not suggesting that the young’ns will be able to top the headliners for sheer aural assault – Mogwai have been shredding eardrums for over a decade – but I have no doubt that The Twilight Sad will give them a run for their money. I’m most excited about finally getting to see them again, and will never complain about seeing Mogwai for the umpteenth time. See you at the Phoenix May 4? Twilight Sad frontman James Graham dropped The Skinny a quick note at the end of last year, just before heading into the studio, to give an idea of what we might expect from album number two. Click Music talks to Frightened Rabbit frontman Scott Hutchison about their Liver! Lung! FR! live acoustic album, released in North America last Fall but only getting a UK release on March 30. Virgin Music interviews White Lies. 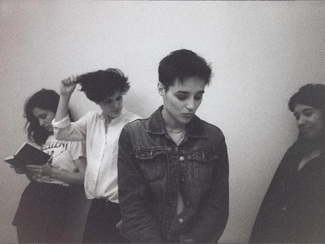 Their debut To Lose My Life is out in North America on March 17 and they play Lee’s Palace on March 31. Spin talks to Depeche Mode’s Dave Gahan about what to expect from their Summer tour, which kicks off July 24 in Toronto (venue TBA). Their new album Sounds Of The Universe is out April 21. Someone out there with a lot of juice must be a big House Of Love fan, because even though they were never much of a success their first time around and their 2005 reunion didn’t do much better, they continue to undergo one of the more thorough reissue programs around. Following reissues over the last few years of their first few album and two sets of John Peel sessions, yet another record is coming – Live At The BBC gathers together 19 tracks recorded at the Beeb between 1990 and 1992 and will be available for myself and the half-dozen other fans of the band to pick up as of March 2.